Let's face it – since Apple went and priced its iPhone X up at a cool grand back in 2017, an RRP of £699 for a new flagship phone is actually pretty reasonable these days. And that's exactly what the Huawei P30 costs, officially going on sale today. And if you could split that exact cost down payable over two years, while also getting 5GB of data each month, unlimited calls, unlimited texts, can we agree that would be a pretty tremendous Huawei P30 deal? 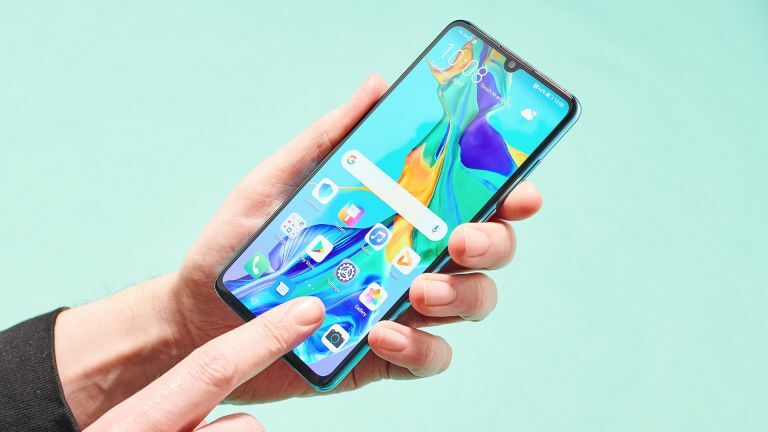 Because that's exactly what you can now get, thanks to a terrific new Huawei P30 tariff that online-only retailer Mobiles.co.uk has dropped today to mark the phone's release. All you have to do is pay £75 upfront and then a very manageable £26/month, which adds up in total to... you guessed it: £699. Except! If you use code 10OFF at checkout, you can currently cut another tenner off the price – making it just £689, which is cheaper than buying the handset outright. That's an extraordinary price for a flagship phone that was only announced 10 days ago and features triple rear cameras and a gorgeous 6.1-inch OLED Full HD+ screen – about £400 less than the best equivalent contracts on the likes of the iPhone XR and Samsung Galaxy S10. Tempted? You really should be! We have more information about this tariff below, or scroll to the bottom of this page to check out how it compares to today's other best Huawei P30 deals (spoiler alert: it beats them all hands down). We wouldn't be getting as excited about this P30 deal as we are if it wasn't so astonishingly good. Pre-order prices were already pretty good, but this slices over £100 off the best we had been seeing during that period. Quite simply this is the P30 deal to go for this weekend.